The 5 Most Romantic Destinations in Italy to Fall in Love! 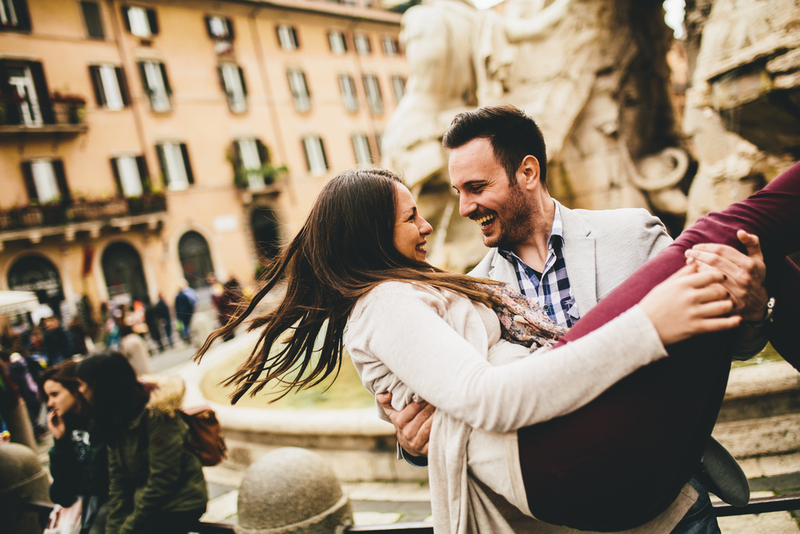 One of the top countries for romance has got to be Italy. Whether you're going as part of a couple or even on your own, hoping to find love along the way, we've got our list of the top six destinations for amore in this Mediterranean nation. Lake Como is a gorgeous lake from glacial waters that is known for its breathtaking landscapes, water sports, wildlife, and spas. It is located in Lombardy, in northwest Italy, and is in the shadows of the Rhaetian Alps. 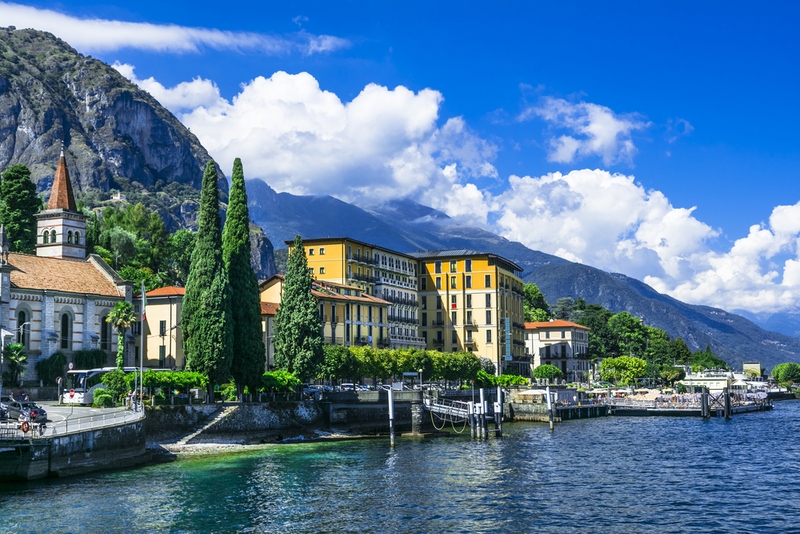 There are quaint villages located all along the shoreline, such as Como, Bellagio, and Varenna A ferry system can easily take you from one place to the next. Explore the Giardini di Villa Melzi gardens in Bellagio and the stunning Villa Carlotta in Tremezzo when you aren't wandering cobbled paths, engaging in water sports on the large lake, or eating delicious, authentic Italian fare. Rome is the 3rd most visited city in Europe, and for good reason. It offers history, romance, spirituality, art, and more! Throw a coin into the 4th century Trevi Fountain for love and marriage. Climb the Spanish Steps and visit the nearby Keats-Shelley Memorial House, which commemorates the Romantic poets John Keats and Percy Bysshe Shelley. Explore the city's piazzas and historical sites like the Sistine Chapel, Pantheon, Foro Romano, and St. Peter's Basilica. The Campo de' Fiori Market features delicious cheeses, olive oils, wines, pastries, fresh produce, and more. You'll also enjoy the neighborhood of Trastevere for a more authentic, less touristy Rome experience. 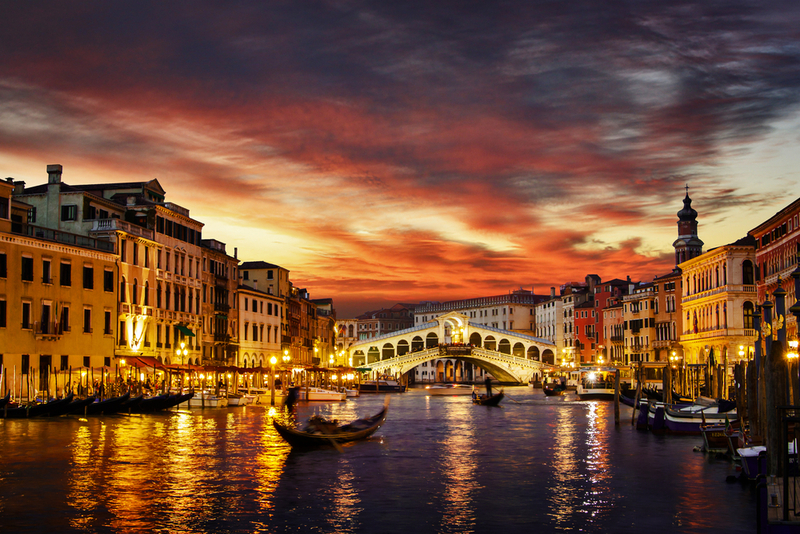 Venice, situated in northeastern Italy, is known for its beauty, architecture, art, and of course, gondolas! Venice is, after all, known as "The Floating City," named such because it was built on a chain of 118 islands with 177 canals and 409 bridges connecting them. Visit Doge's Palace, St. Mark's Basilica, and Scuola Grande di San Rocco for beautiful architecture and artwork. Enjoy the work of Vivaldi, who was born in Venice, at the Venice Baroque Orchestra. La Fenice offers classical music as well as ballet and opera performances. Savor a candlelit dinner overlooking the Grand Canal while taking in the sunset. The Amalfi Coast sits on the Mediterranean, offering a beautiful landscape of mountains edging the sea. The area is known for its production of limoncello liqueur, so you will definitely want to enjoy some with your partner while you're there! You're also going to love the abundance of fresh seafood while you're visiting. Many of the footpaths throughout the Amalfi Coast date back to the 10th and 11th centuries. 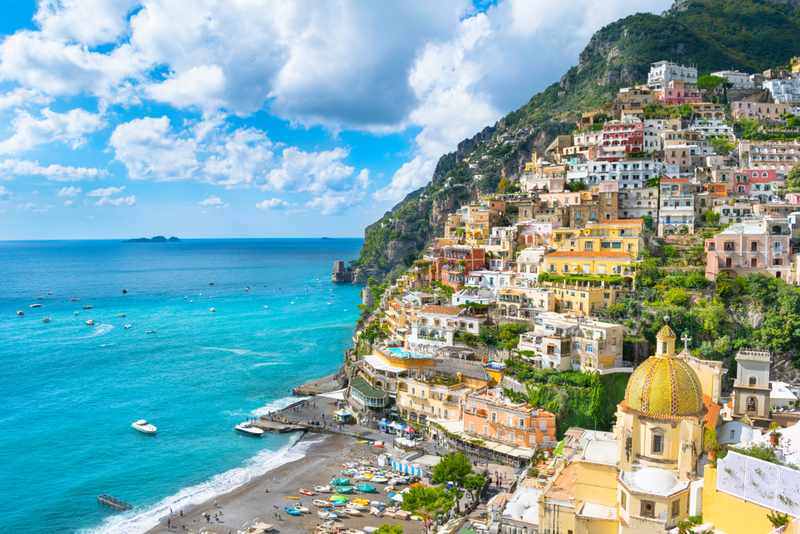 Check out Positano, a seaside town situated on the Amalfi coastline, with winding streets, pastel buildings nestled into the cliffs, and boutiques galore. The Club Alpino Italiano (CAI) has a list of 124 trails in the Amalfi Coast vicinity. Florence is known as "the cradle of the Renaissance" and features numerous masterpieces to behold. Visit the Belmond Villa St. Michele, built in the 15th century, and enjoy drinks or a meal at the restaurant while overlooking the city. See firsthand Michelangelo's David, Botticelli's Venus Rising, and other works in countless museums, galleries, and churches. Florence is believed to have the largest collection of art relative to its size in the entire world. Head to the Giardini Boboli, a beautiful garden filled with flowers, trees, and sculptures. 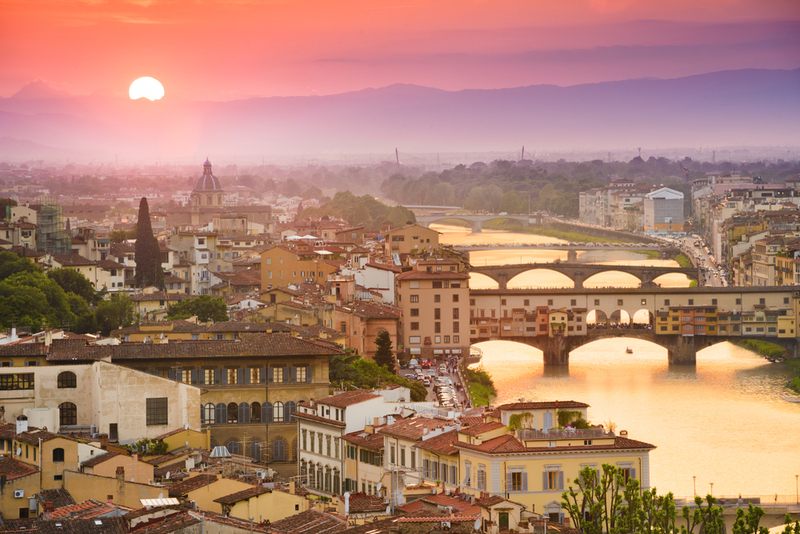 Take advantage of the wine, pizza, and gelato, either by joining a food or wine tour or enjoying along the romantic Arno River. We bring you facts about the cities with the highest crime rates in the United States according to FBI data. Discover the most dangerous city in the U.S. here! The perfect weekend activity is a Bottomless Brunch! Discover where to eat brunch and drink unlimited alcohol with London's latest boozy, dining experience!